Meet the Naturepedic organic cotton pillow! Naturepedic is a company that doesn’t just sell the organic story, they truly believe it. Every product Naturepedic builds is created with hygienic and organic materials. They follow strict 3rd party certification standards to ensure the quality of their materials and final products. Does organic really lead to a better night’s sleep though? I decided to put it to the test! Continue reading below for my full review of the Naturepedic organic cotton pillow. 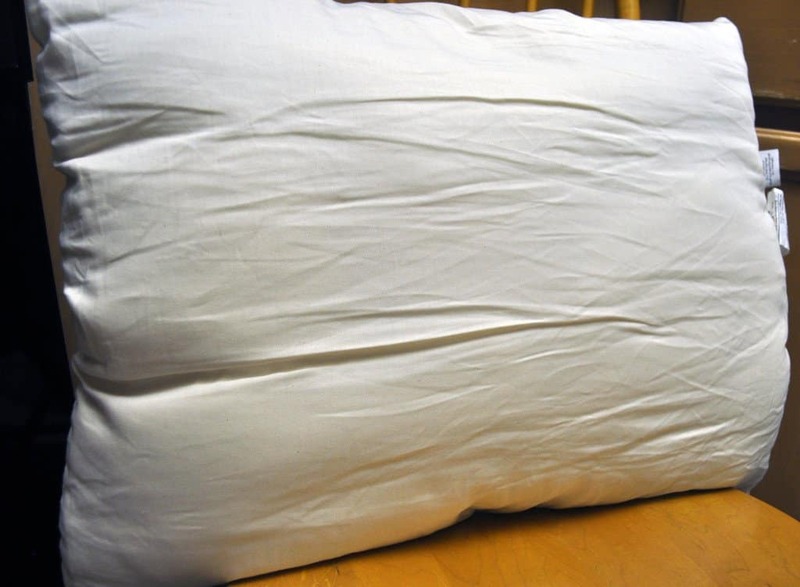 The Naturepedic organic cotton pillow is stuffed with 100% potato starch PLA batting. PLA, also known as polylactide, is a type of polyester created 100% from plants. 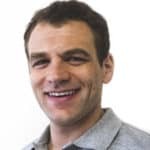 The process takes plant starch and converts it into sugar, and then into yogurt, and then into lactic acid (lactic acid is what makes your muscles hurt after working out). The lactic acid is used to create a molecule called lactide. In the final step, water is removed from the lactide leaving the PLA to be used to create the pillows. The pillow 100% machine washable and dryable. Additionally, no flame retardants are used in the pillow. The Naturepedic pillow is Textile Exchange OCS100 Certified. This certification is conducted by a 3rd party that tracks the purchase, handling, and use of 100% organic cotton products. If you’re interesting you can view the full certification criteria here. It’s available in all of the standard sizes, including: Standard (20″ x 26″), Queen (20″ x 30″), and King (“20″ x 36″). However, it’s also available in Toddler (14″ x 20″) and Standard Low-fill (20″ x 26”), which is great for stomach sleepers or others who prefer a flatter pillow. The outer cover is 100% organic cotton fabric. The 300 thread count gives it a soft feel. Aesthetically, the cover is quite simple and has no significant style touches. The color of the fabric is somewhere between an off-white and a cream. The Naturepedic organic cotton pillow has a very well rounded and balanced feel. I feel like many pillows on the market today fall into two categories. 1) Super cheap and lower quality (the stuff you’d find in the 2 for $10 bin at Wal-Mart) or 2) Expensive and designed for very specific needs (like a high memory foam pillow designed to contour for side sleepers). What I love about this pillow is it sits in the middle of these extremes. For this review, I tested the standard size and standard fill. As a stomach sleeper, most standard fill pillows are quite uncomfortable due to their height. However, even with a normal level of stuffing the organic cotton pillow was highly moldable and cuddly. I was easily able to mold the pillow and sleep comfortably on my stomach throughout the night. The stuffing material does a nice job of providing support when you need it, but getting out of the way when you don’t. During my test I also slept on my side (my 2nd favorite position). I wouldn’t describe this pillow as a flat pillow, but it’s not overly tall either. As such, it did a good job supporting my neck and head in a side sleeping position. The plant-based fill material is quite intriguing. At the surface level it’s quite soft, which allows for that degree of moldability. However, it does a good job of holding its shape as well. Ex. if you press both your hands together on either side of the pillow you cannot touch your hands. There’s a stable core of filling material that ensures proper support, even while providing comfort and moldability. With regards to cooling, the Naturepedic organic cotton pillow did exceptionally well. I did not feel hot in the slightest during my sleep test. The fill material has a significant volume of air, which allows for airflow, breathability, and cooling. No smell – zero noticeable smell even from the first moment I opened the pillow from the bag (I put my face directly up to the pillow and breathed deeply…there was zero smell). Is the Naturepedic Organic Cotton Pillow right for me? The Naturepedic organic cotton pillow is the type of that pillow that just nails that perfect middle ground. What I love most about this pillow is simply that it’s not too much or too little of anything. It has a balanced height, great moldability, good support, great cooling, and an overall delightful feel. Wants a “just right” type of pillow – the Naturepedic pillow hits the ideal Goldilocks standard. It’s not too much or too little of anything. It has a balanced feel that will be comfortable for the majority of sleepers. 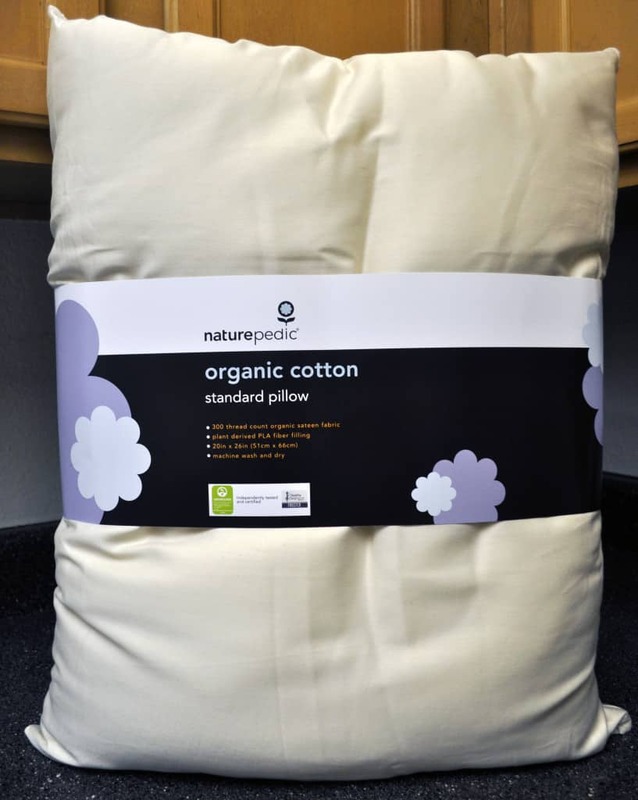 Wants organic and healthy materials – the Naturepedic organic cotton pillow is made with 100% organic cotton, 100% potato starch plant-based PLA batting, is Textile Exchange OCS100 Certified, and contains no flame retardants. For more information on the Naturepedic organic cotton pillow visit Naturpeedic.com. The Naturepedic organic cotton pillow delivers an ideal “just right” type of a feel that’s suitable for back, stomach, and side sleepers. The organic cotton cover and plant-based filling make this pillow as healthy as it is comfortable. They aren’t inexpensive, but the price isn’t too unheard of for quality organic pillows. The Naturepedic pillow can be a great option for anyone who needs a balanced and even feel in a pillow.